A solvent-free 2-component repair resin on water glass basis. Compared to repair resin based on epoxy, this is a user-friendly alternative. 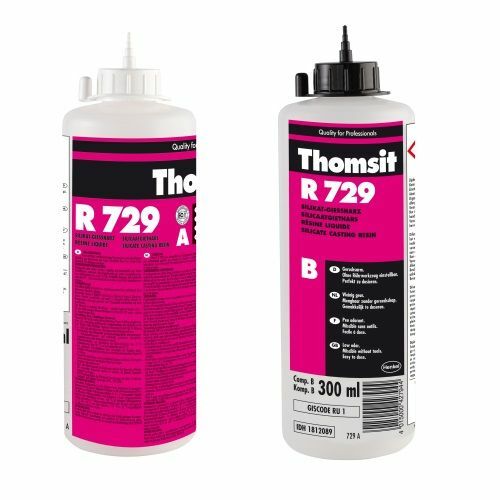 Thomsit R 729 Silicate casting resin has been developed as a fragrant and very low-emission product that is also very user-friendly. 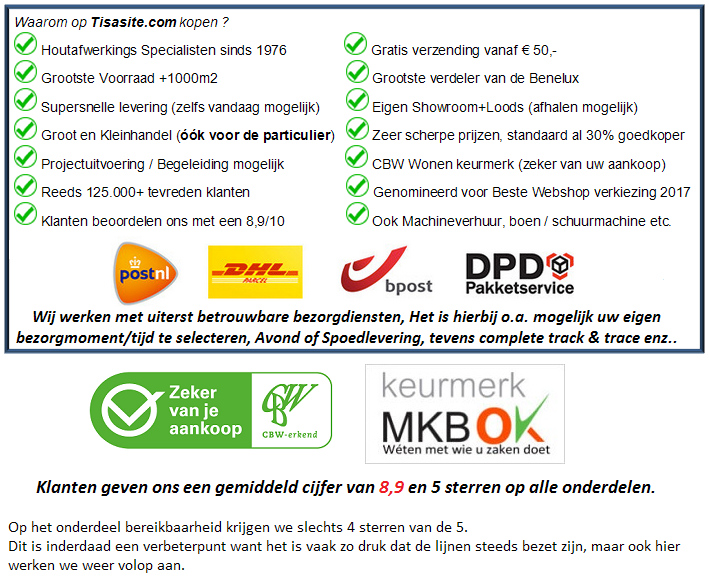 The packaging makes simple and easy processing possible. The two bottles are easy to dose with the dosing nozzle and mixing is possible without additional tools. 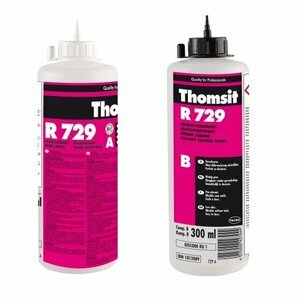 In short, Thomsit R 729 is a user-friendly product that is suitable for narrow and wide cracks in cement and concrete.